OCT. 24, 2018: In Washington, DC, mainly Wards 7 and 8, violence has increased tremendously. Many lives, from teenagers to elders, have been taken over ignorant and just dumb stuff. Many of the killings in DC have either been shootings or stabbings. A lot of victims were teenagers leaving school maybe thinking about what their mothers were going to make for dinner. Other killings happened because of “hood beefs” or “school beefs”. Nowadays, some students and parents are trying to figure out if they will be able to see their high school graduation. In my opinion, our government, especially Mayor Bowser, continues to worry about the wrong things. When people confront her about violence in the community, she becomes speechless or says, “Next question”. I don’t believe she really needs to be our mayor because in my mind she doesn't even seem to want to solve the problems in the city that she's the mayor of. It seems like Mayor Bowser worries more about school attendance even though that is really important. She doesn't realize if people continue to die from senseless violence at this rate we may not even be able to have any attendance to keep track of. Nowadays, many teens are killing other teens. I really wonder, how teenagers who are supposed to be underage obtain guns. I also wonder, why the Metro Police Department that is supposed to protect and serve the community, has not been able to stop the violence. In my experience, they show up to help stop the violence, just to make it seem as though they truly care. They are always posted up on Martin Luther King Jr. Ave—one of the roughest and violent streets in the entire city. But to me it looks like they are just sitting around and conversing with other police officers while violence is happening. Are they really here to protect and serve the communities or are they here to protect themselves from losing their jobs? I question why police response time is so long when the officers are just sitting around the corner. Even though people are used to the violence in the community, there are many people who actually want to make a change, such as myself. 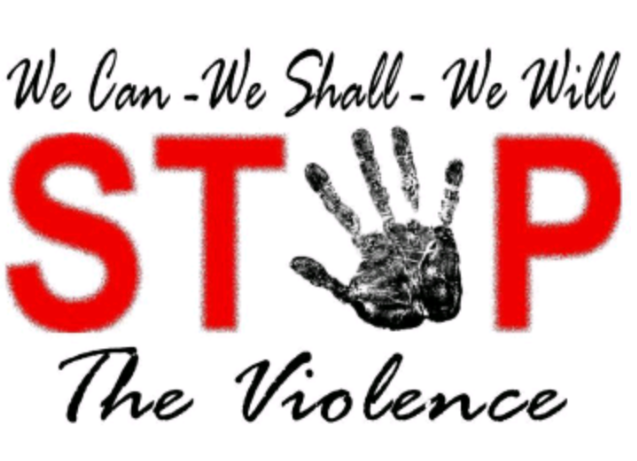 How can we figure out ways to stop the violence in the community we live in. And, where do we start, because it feels like we never began? Sean Beach is a 10th-grade scholar at Friendship Tech Prep Academy.